Web marketing certainly isn't going away, but four forces are combining to radically change how we've approached our work the last ten years vs. how we'll have to in the decade ahead. Google's removal of SEO opportunity, Facebook ending referral traffic, falling ad impact and rising competition spell an end to the "best practices" of the 2010s. In this presentation, Rand will look onto the horizon to see what new tactics and strategies are emerging from the ashes, and what we'll need to know to stand out in the years ahead. The strategic and tactical research of the right search terms is still the foundation of all search engine marketing. But what does the right process for keyword research look like? Which tools are available to show the search terms users choose? What strategic approaches are there for categorizing search terms? Alexander Holl will put the focus on all of these questions. You will learn which mistakes you should avoid in keyword research and what has changed for search engine marketers in recent years. Especially in a mobile-first world, fast loading websites are of outmost importance. Unfortunately, it has become really hard to measure performance as it also depends on your mobile device's CPU amongst other factors. Also, Google has been very vocal about web performance in the last years and is pushing hard to innovate repeatedly. But performance is so much more! User satisfaction should be the main goal because expectations are clear: You’ve got two seconds maximum to deliver, so make it count. During his talk Bastian will be walking you through various advanced topics around web performance optimisation to make any website really, really fast. After that Bartosz will tackle the technical problems you need to solve if you want to ensure Java Script, which is used by 94% of all websites is working FOR and not AGAINST you to enable top notch user experiences. Will the Terminator Take My Job or Will I Run an Army of Robots? EVERYBODY wonders how automation from Google is changing our roles as PPC managers. Do we still have a relevant role to play when there are new campaign types like Smart Shopping Campaigns that promise to automate budgets, bids, ads, and targeting? What is left for humans when machines take over? The answer is that historically machines + humans have outperformed machines on their own. So how do we think about the skills that we should develop and others that we maybe focus less on? In this session Frederick will answer some of the most burning questions: What can we expect from AI in PPC for the next 2-5 years? What roles can humans play to improve on the results driven by AI? How can we build automations with scripts that free up time to focus on strategic initiatives and how should we communicate with clients and managers who may have unreasonable expectations that are influenced more by media hype about AI than by reality? In the most common attribution methodology, last touch attribution, search ranks high. But, when rolling out newer strategies like multitouch or omnichannel attribution, that ranking can drop dramatically as these attribution methodologies are more favorable to other channels -- and search teams often find themselves defensive of funding. In this talk, Natalie will discuss attribution and its impact on the search team. As the search team often loses with these newer methodologies, she'll cover some of the things she wished her own team had known beforehand. This talk will be useful for any search professionals whose company has or will explore multitouch attribution, and want to know how changes will impact the search team and how best to highlight the impact of search with the new analytical changes. Alternative Ranking Factors: Reverse Engineering of Search Engines like YouTube & Etc. You want to expand your presence in search engines beyond Google like YouTube, Instagram, Pinterest, LinkedIn etc.? The first important step is to understand which ranking factors lead to success on each platform. Even if the platforms are all different, it is possible to set up a transferable process. In this session Stefan Fischerländer will show you how to set up a reverse engineering process: from the relevant data (possible ranking factors) available in the search function, the ranking hypothesis, correlations between good ranking, the previously determined possible ranking factors, all the way up to the testing of a hypothesis. User experience is one of the most important success factors of digital business models. If you don't focus on the user experience, you risk a lot: Visitors will not register as customers in your online shop, they won't log in, and won't generate sales. They will also face a lot of negative experiences on your website. But how do you actually identify User Experience? Can you define elements that guarantee a good user experience? In this session André Goldmann will provide six central components of a good user experience and how they can be sustainably optimised. If the navigation of your website is effective, your users will have a good experience and search engines will be able to properly crawl your site and prioritize your content. This will help you to increase leads, conversions, and search rankings. So how can you get it right? Shari will share with you the 5 types of navigation that every SEO must know and discuss the most common challenges and questions such as mobile friendliness, secondary menus, content hierarchies, Java Script and much more. Everyone knows that the implementation of SEO in a wide variety of areas is expensive. Therefore, you should concentrate on the topics and keywords that bring the highest ROI. Image you could predict which rankings will bring the best ROI and you could use your resources in a targeted way right from the start. In this session Sebastian will show you how it’s possible by using Predictive SEO. You'll see you can automate classification with Machine Learning and then use Google Search Console data to predict which keyword clusters really deserve your attention. Google has been steadily evolving its platform, responsive search ads have been launched, another headline was added to name just tow examples. We might be back towards the ETA like discussions with how ads are structured and tested in a responsive / 3rd headline world and the debate over hand written ads vs responsive ones. In this session, you'll explore the changes, ensure you are up to date and get the tactics you need to maximize the performance of your campaigns. Identifying the top of the funnel trends by using social data is key, because more often than not, users discover net trends on social and later turn to search. By understanding these trends, advertisers can strategically target their social ads to make the most of hot social trends and then set their search campaigns up for a quick success. Improving your lower funnel campaigns will help you to target the correct audiences of stakeholders. By leveraging the unique demographic targeting options within your social campaigns, you can set up different audiences within Google Analytics to feed back to your search campaigns to best target your users via RLSA. Finally, you have to make the most of your bottom of the funnel by marketing to your current customers to get repeat purchases, reviews, and referrals. In this session we will give you a framework which allows you to measure site effectiveness and optimise the user journey much more effectively. Every minute, the competition on Amazon increases and more and more comparable products are offered. Your only chance of withstanding the fierce competition among the many German marketplace merchants is to secure the attention of potential customers. Trutz Fries will give you an update on current developments in Amazon Sponsored Products and Sponsored Brands. On the basis of 1 billion impressions, he presents connections and developments, and gives tips for successful campaign structures and how to fine-tune them. Désirée will focus on Amazon Display Ads and a programmatic control of the ads back to either Amazon (in the merchant shop) or directly to the web shop of the retailer. To what extent do the conversion rates differ? Are there differences in the quality of those placements? Google Analytics is used by most companies, but most are only scratching the surface of possibilities. In this session Markus will show you what advanced features are available - especially for shop owners. He starts with features in GA like order funnels (and product views), lists, coupons, internal advertising, and features you have to add to the site (Tag Manager). Then he shows how to use this data in target group analyses (which you can use in ads campaigns) and gives you some effective ideas for your reporting. Search marketers can have too much of a good thing, optimizing SEM programmes to the point of cannibalizing remarketing or targeting conversions on loyal customers. To maximize business impact, search can now work effectively across the entire marketing spectrum. Matt Vignieri will review the latest learnings and best practices from Kenshoo's top brand and agency clients, share new approaches for using AI to improve performance and measurement of search campaigns, and offer 5 core principles for maximizing the power of search to disrupt markets. Jim Sterne has an impressive track record looking over the horizon and telling the rest of us what to expect. He wrote his first book, "World Web Marketing:" in 1995. He wrote "Web Metrics" in 2002, He wrote "Artificial Intelligence for Marketing" in 2017. This year, he explains how robots will help you do your job and how they will transform marketing forever. Your professional, digital agents can work by your side to get the right message to the right person at the right time. But soon, marketing as we know it will change forever. If you're in B2B or B2C and have learned to survive in a C2C world, get ready for C2B: where your customers' bots negotiate with your bots. There are tens of thousands of possible combinations for setting up Google Ads or Bing Ads accounts. New options are added (or removed) at ever shorter intervals. In day-to-day business, however, there is no time to make strategic changes and reposition accounts. The most effective way to optimise your account is by looking from the outside and using a highly structured approach. Oliver Zenglein shows in this hands-on session how an SEA audit can be designed using all the new possibilities available in 2019. Tom has long been fascinated with how the web works… and how he could break it. In this presentation, Tom will discuss some of the times that he has discovered security issues in Google, Facebook and Twitter. He will talk about compromising Search Console so that he could look up any penalty in the Manual Action tool, and how last year, after he discovered a major bug that let him rank brand new sites on the first page with no links at all, Google paid him a reward for his ethical research. Tom will show some of the ways that thinking like a hacker can be applied to improving your SEO, from understanding quirks of how Google Bot works, to ways to novel analytics gathering. Get an overview of typical missing negative scenarios and negative fencing tactics using Ads Scripts. The following use cases will be covered: DSA fencing against all search campaigns, shopping campaign fencing using negative lists, handling multi-list pools between Adgroup fencing of search campaigns, tackling and reducing matchtype overlaps based on query data, finding out-of-domain terms such as competitors and ngramming approaches with BigQuery. We will furthermore focus on notification of negative-blocking cases, auto-associate new campaigns with negative lists, and approaches to deduplicate existing negative sets. Operational SEO consists of a multitude of processes. Many tool providers offer support, but you have to understand the logic behind each tool, and often different data sources must be combined. We torture Excel spreadsheets and in a best case scenario can only hope that the contents are correct. In this session we show you how you can define ETL (Extract, Transform, Load) workflows, support APIs, httpRetriever and HTMLParser etc. with one tool, that is free. Even more complex ETL workflows from different sources are easily mapped. You can export workflows and share them with colleagues. As the topic is very complex, we'll show you some common SEO processes. If you want to get deeper understanding, you may also want to register for the Deep Dive on this topic. Investment in video advertising is growing rapidly, particularly on mobile. With more options to grab audience attention on more channels, brands and performance advertisers with all types of budgets are seeing the power of digital video ads. And while YouTube may not lead to immediate, direct return, it will help boost your brand perception (if your initial targeting is precise) and grow awareness to drive future searches. In this session attendees will learn how they can do so much better than basic remarketing and reach significantly higher engagement rates. Joe will show you how to effectively invest in visual media, segment audiences, what type of video content works for which type of audience (at which place in the funnel), how to effectively target competitor audiences on YouTube as well as new, custom interest audiences. There is so much technical potential that can help online shops in particular to target as many relevant search terms as possible. At the same time, however, attention must always be paid to topics such as crawl budget optimisation in order to control the Googlebot in the best possible way. In this session we will focus on aspects such as variant handling, implementation of filter pages, pagination of categories and optimal use of the Google Search Console. So far a granular structure was said to be the basis of successful Google Ads campaigns. Individual campaigns are segmented based on brand-related, product-related keywords, gender and location of user and the device in use. Illustrating by the usage of case studies, Liesa Schulz will demonstrate in this session how Smarketer tested and developped this concept by using the triple a approach (audience, automation and attribution). In this concept the main focus is on google's algorythm and campaigns are more adjusted to specific target groups. By the usage of machine learning high performance results can be achieved within Google Ads. Sustainable SEO is only possible if you know your website problems before they are discovered by the search engines. In this session, André Goldmann will show you how to use SEO audits in Google Data Studio, in the Google Search Console, with Screaming Frog SEO-Spider, and other tools to secure the three technical core features of your website at all times: crawlability, indexability, and the ranking capability of your content. If you manage a big brand or a website with well-established traffic, it’s crucial that you understand how to optimise for the SERPS. This session covers everything you need to know from exciting types of SERP snippets and Google Discover feed to more advanced optimisation and data analysis techniques. We will cover Snippet Types & Performance Statistics, Data Analysis & Surfacing Insights and how to set up your own optimisation process. Audience targeting and remarketing: Two powerful tools for marketers... unless they're rendered useless by ad blockers, tracking restrictions (Apple), shifts in consumer behavior, and new privacy regulations. In this session, we'll examine what's new in audience targeting and how the changes to tracking will affect your ability to effectively use audience targeting and remarketing. Search marketers lose too much time to reporting; whether that is monthly, weekly or daily - our stakeholders want more data, in less time, with greater frequency. If we are not careful, we can easily lose over a days worth of time (and some of our sanity!) to reporting. This session works to change that. We focus on Google Data Studio, a free reporting and visualization tool, but all lessons can be applied to whichever platform you use for your company or clients. We explore how advanced reporting features and affordable third-party plugins can revolutionize our PPC, SEO and SEM reporting. We will be including free templates that you can take away and implement at your company, a bunch of features most people don't know exist, and ways to think more creatively about data collection and visualization. Don't miss this session, if you want to build better reports in less time with a small budget. If you ask which of the digital channels consistently achieves the highest ROI the answer was, is and will be the same in the foreseeable future. Email marketing remains the bedrock of marketing. The channel is experiencing many exciting developments from AI, intelligent personalisation and sophisticated automation so get informed on how these tools are transforming email and the impact this will have on search. In this session Jenna will be highlighting the future trends in both email marketing and consumer behaviour alongside practical steps we can all implement to create a robust marketing strategy that will stand your business in good stead for the future! Has the Big Data hype left you disappointed with a lack of concrete takeaways? In this session Christian will present a thorough and detailed report of the current status of paid search focussing on E-Commerce accounts. He will take you inside specific accounts and show you real-world examples of what works and what’s really going on with Google Ads in 2019. The report is based on aggregated and analysed PPC data from hundreds of E-Commerce advertisers for a guided tour of the most critical metrics and unseen trends. It’s a ton of data, reduced to only the sharpest insights – so bring your tablet and take notes. YouTube can be more than building awareness. We can use YouTube to drive action. Yes, even for E-Commerce companies. With TrueView for Shopping, advertisers have a variety of options to promote their products with the goal of encouraging users to consider your products in the future. And in many cases, we can have YouTube campaigns that drive revenue and have high ROAS. This session will show attendees how. In this session Joe will go over the important components of setting up a YouTube Shopping campaign. He will cover how crucial audience targeting can be for campaign success and how to measure the value of your YouTube shopping campaigns including how to evaluate YouTube’s success beyond direct revenue. It will be exciting! Who will be the lucky winner and take home the renowned SEMY award? You decide. The nominees for the two categories, PPC Campaign and SEO/Content Marketing Campaign, will present their campaigns and then you, the audience, will vote for the winner! From macro trends to micro tactics, here's your opportunity to ask our panel of leading paid search experts anything and everything ad-related. No PowerPoints. No holds barred. Join us for an open Q&A to get all your questions answered. Most of us are guilty of thinking about voice search in terms of how users interact with Google through desktop or mobile. People make requests and the service returns an answer. But that negates the whole angle of personal assistants. Search and discovery will become a proactive rather than reactive activity. Once we jump to multi-step queries and complex interactions, users will be able to successfully complete the kind activities they now do on desktop/mobile search, i.e. research, shopping, work. And once we get to this point, voice interactions are far more likely to cannibalise desktop/mobile searches, as they will simply be more convenient. The impact will be felt across all devices and marketing channels. Are you ready for the changes to come? In this session, Nick will explain how voice requires a data-first approach and a complete deconstruction/reconstruction of how we interact with customers online. We’ll also look at the challenges of making voice searches machine-readable, how to gain an understanding of cross-device usability and measurement, and which developments in ML/AI we need to make those interactions more intelligent and fit for the purpose. Are you planning on switching to HTTPS, introducing a new CMS, changing hosting providers or relaunching your templates? Many things can go wrong, and most of the consequences are severe. But we've got you covered! In this session, Bastian will share hands-on advice on how to plan a migration, as well as how to avoid the most common problems. In addition, Patrick discusses the special challenges you face when the migration is based on M&A, user- or a domain name/brand name change. Attend this session and you will be well prepared for one of SEO's biggest challenges. Google continues to push its Google Ads product strategy into the advertising market with a focus on automating bidding, targeting and creative creation. Data that was previously the basis for optimisation is no longer visible for many campaign types. This means a loss of control for advertisers that creates resentment and uncertainty. Which concrete activities in the environment of Google Ads and Search Ads 360 can we leave to the machine and where should humans be the driver and pull the strings? Which parts of Google Ads will be automated in the future and where will intervention possibilities be further restricted? In this session, we will shed light on the status quo of automation in Google Ads and give you concrete recommendations. We start the session with new data analysis on Google's March Core Update and compare which pages and which factors have changed. Content, not data, is the bottleneck of the future and will be the primary cause of failure. Today, it's no longer about creating good content, but about providing the right content, at the right time, to the right audience. There is more than enough data available to achieve this. The challenge is what data to use for what, and how to future prove the guild of creative content writers for a world where targeting and data are part of daily business. Today, about every third mobile search query has a local reference and the search results themselves are becoming more and more local. That makes Google My Business far more than just an industry entry in Google. Anyone who knows how to use the service cleverly has a good chance to get prominent placements in Google search results. Every company presenting themselves well in the Knowledge Panel will become the first point of contact for users. Even smaller companies can achieve top local rankings for popular and therefore competitive keywords. In this session Florian Eckert will show you concrete learnings from the optimisation of approx. 1,500 Google My Business entries in Germany. You will see how your company can be optimally presented, how you should deal with critical reviews, which tools you can use to optimise your activities on the platform, and how companies that do not operate retail stores can benefit from Google My Business. How to Survive When Technology Takes Over? Did you know that 52% of the Fortune 500 companies of 2000 don’t exist anymore? And that digital disruption will wipe out another 40% in the next decade? AI, voice & personalisation are conquering the world. Once again, technology completely changes the way we do business and communicate with prospects and clients. How can you keep on winning the hearts of your customers in this new era? How to make sure you will survive? After 18 years of successes and defeats as a digital consultant for companies as TUI, Carglass and Yoast, Karl thinks he has found the answer. And he’ll share it with you. AI and machine learning is the future! But you must think about a wholistic and seamless experience for your users. And many mistakes are made. Some of them will alienate your users so much that it will take a long time to convince them to even try using your services again or even looking at your offers. In this session Purna will show you some of the common mistakes that are made when using AI (and how to avoid them) and she will discuss where trial and error is an option without alienating your customers. You will vote before and after you hear the Pros and the Cons. Will one of our speakers manage to change your opinion? Will the devil's advocate or the voice of reason win? Change is the only constant when it comes to Google, from the new design to new features like CSS or Showcase Ads. A strategy that works today may be obsolete tomorrow. Does it make sense now to do branding with Google Shopping? For which assortments is it interesting to use price search engines? Is it more effective to book only via CSS or continue to book directly at GSE? In this session Sven shows you how OTTO, one of the biggest players in the e-commerce space, sets up its product campaign and control strategy. He’ll explain how to engage the users most effectively at different places in the funnel and how campaigns with the new features compare to campaigns without them. When optimising existing websites and building content strategies, there is one question raised on a regular basis: how do you compare to your competition? Content benchmarking provides the answer, but implementing a meaningful, comparative content analysis process is anything but easy. What needs to be considered beyond the main content of the page? Should additional content be created for SEO or content marketing? Which content should be expanded? Which tools help evaluate the content? In this session, Niels presents tools and evaluation approaches, shows practical solutions, and takes a look at possible traps. Google announced in 2017 that it strives to integrate artificial intelligence into every product. The new motto is AI-First and it is about time that the SEO industry addresses the implications that come with this change. 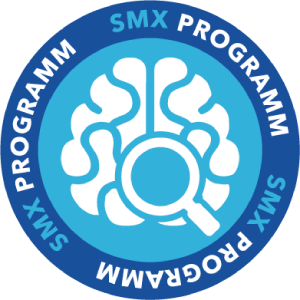 How does Machine Learning already influence SEO today and how should SEOs react? Which traditional ranking factors are from yesterday, which KPIs and best practices are relevant now, and do we have to completely reorganise our SEO teams? Philipp Klöckner answers these and more questions and also shares some concrete "hacks" that will help you to improve your site today in Google's AI-First world. With destinations all over the world, 21 domains and 20 million keywords per domain, Holidu, a vacation rental platform, has to balance their PPC efforts on a large scale. How do you manage all the information without getting lost? Holidu built their own tool to generate campaigns, keywords and ads as well as do bidding and analytics. Rasmus will share the key learnings from the process – the importance of structure, the mix of ‘general rules’ and attention to details and the resource commitment. He will also explain the challenge of estimating the value per user when revenue comes mainly from 3rd party partners and you have to rely on the estimated value from micro conversions. This knowledge can be applied if you only manage few campaigns or plan on building your own tool for millions of Keywords. If you really want to use your content efficiently, you must avoid silos. Today, users are active in so many different channels and they want a coherent message. Easier said than done. If you have different Online Marketing teams in different countries, then it gets even more challenging. Luis will show how LEGO uses content efficiently across channels and across multiple countries, improving the search experience of users in different platforms and building a coherent strategy around a product. Neuromarketing is not a new discipline and by now most marketers know (or should) principles such as scarcity, instant rewards etc.. but what does this actually mean for performance optimisation? In this presentation we’re going to start with the human brain and look at why we respond so positively to some online experiences and not others. We will explore the weird and wonderful world of YouTube communities that create online content deliberately designed to provoke physical responses in remote viewers, and no – we’re not talking about adult content. We are talking about how the human brain craves reward, excitement, satisfaction and order and how this has given birth to exploding content genres from Unboxing, to sand cutting, to ASMR; with billion-strong audiences. SEOs and performance engineers have tactics in their toolkit that can positively impact these neural cravings. Nichola will show you how to drive performance through pleasing neural response, from user-focused speed metrics to haptics and wait devices. Images bring traffic and often image search is the starting point for users looking to buy a product. However, image search optimisation is still neglected. In this session Martin, the most reknown German Picture SEO expert, will explain how Google image search works and - based on some real world examples - how and when image SEO is worth your while. Afterwards, Julian is focusing on picture recognition at Google and artificial intelligence. Where do the AI and image search journey lead us? Dealing with over 100 Million pages in search is never an easy challenge, especially when many pages are similar in nature within an e-commerce setup. To test the theory of deduplication and its benefits, Jason and his team ran through a 6 month extended experiment focused entirely on the concept of cannibalisation in rankings. In this session he will run you through the process of issue detection, testing calibration and findings; in Google, Bing and beyond! After that Ross will go into nitty gritty agency systems that you need in place, to find cannibalisation, report on it and fix it. Don't start manual bidding, even if your tech team lets you down! Normally, a customer does not convert immediately when he or she visits a website, but it can take a long time until a purchase is actually made. This is especially true for long customer journeys that are filled with research. Further, the goal might not be an immediate sale, but prospecting, drawing users to a view and retargeting them, and only then going for the conversion. In all these cases it makes sense to offer preliminary conversions. But how much should a preliminary conversion cost? You can only find an intelligent bidding strategy if you calculate backwards - because you know the margin from the final conversion. In this session Dennis shows you how to calculate your target ROAS back to a target CPA and use it as a basis for Smart Bidding. And, to ensure it doesn't get too nerdy, he shares three approaches to calculating your target CPAs manually on a regular basis and then set them manually in Google Ads - a necessity if your tech team doesn't want to store any conversion values in the data layer. In this session we will get technical. How can you understand the expectations of search engines for a keyword and topic? What are the best technical approaches to optimising content? Mike will answer these questions and more and you will also learn why and how you have to move beyond just using TF-IDF. Recruiting - whether you are looking for a trainee or a data scientist - is one of the biggest challenges for every company. Social media offers effective opportunities for long-term branding as well as for the short period when trainees can be recruited once a year. But social advertising requires much more than finely tuned and targeted campaigns. Really good social ads appeal to people emotionally and create a bond through storytelling. In this session Yannick will show how to effectively integrate branding and storytelling into performance campaigns and how to get new employees excited about you via social networks like Facebook, Instagram and LinkedIn. We produce vast amounts of data and reports, but we often evaluate the data that we can collect, not the data that makes sense. When it comes to interpretation, we always choose the path that seems easiest to us. If a coincidence is declared as a correlation, your result will be wrong. The result is false marketing investments or, even worse, nonsensical product developments. To find REAL connections, correlations, and structures in data sets, and potential problems in the data chaos, is work for a detective. In this session we track down the right path for you. 99% of all website owners launching a new website miss a unique opportunity. The website is successfully launched, including a good initial ranking, and the attention is turned to other matters. Most new websites are very visible on Google - at the beginning. This is because Google gives a "bonus" and thus a kick start to websites for which no data is available yet. This period lasts a few weeks, at best a few months, and after that the site will rank according to what its signals indicate. This short bonus period, also known as the Google Honeymoon, can be used like a stepping stone to rank well in the long run until the Golden Wedding Anniversary. In this session Kaspar will show you how you too can benefit from the Google Honeymoon Period in the long run. The launch of the new Google Marketing Platform which joins the Analytics, Data and DoubleClick products opens many new opportunities for marketeers. From new adtech and audience integrations and business optimisation opportunities to stronger enterprise features. In this session we take a deep look at the platform and look at the powerful integrations it offers, and how it's positioned to help drive more business with effective use of data. In a world where the average consumer is exposed to over 3000 ads a day, our ideas and our content has to emotionally resonate to cut through the noise. In this talk, Kirsty will walk through a scientifically proven creative process and share tips on how to test content before investing in execution, to supercharge your content efforts. Companies always complain about the lack of skilled workers - but often do not consistently use the available potential to find new employees via SEO and PPC. As a result, the career sections on websites are rarely aligned to Google's organic search. They are not easily found for job offers or for internships or training positions. Google Ads also offers many possibilities for active personnel search. The search volume in the area of jobs is increasing and classic job portals are losing importance. For employers, it becomes ever more important to rank high on the search result sites – and SEO and PPC are the crucial tools to succeed. With the launch of Google for Jobs in Germany, relevance will increase even more dramatically. In this session we will show you practical strategies: How should HR professionals use Google to search for employees? What are "must-haves" in the HR tool kit to win the War for Talents? While Machine Learning/AI have become an integral part of product development in the recent era, data science is still evolving. It is essential for us to address personalisation and machine learning cautiously. In this session Shalini will discuss how Machine Learning, AI and Personalisation can filter into product development and how you can leverage the data. But she will also address the limitations (technical and product) that you need to be aware of. The Google Search Console is an important tool for every SEO. In this session Stephan will show you how to generate data with the help of the API, how you can refine data by aggregation, and how to effectively use this data in your optimisation processes. You will learn how data is analysed in the GSC and what this means for SEO - beware of data traps! Get hands-on tips on how to solve SEO problems like URL cannibalisation and how to create automated reports and monitoring solutions. Integrating PPC with SEO, Content Marketing, Marketing Automation and Social Media via LinkedIn and Facebook as well as offline marketing is a supreme challenge. Extremely high click prices, strong competitive pressure, small target group sizes, long decision-making processes and, in many industries, an obligation to internationalise across multiple locations makes this problem one of the toughest in online marketing. B2B PPC is increasingly complex and a strategy limited to individual disciplines no longer fills the bill. Survival in the B2B environment will depend on breaking down PPC and integrating it into other marketing channels. This session provides concrete examples for the right strategy and tactics to position yourself with PPC and other marketing channels as the ultimate point of contact for user. It’s time to start the lead machine. You create great content, you publish it, you get good links – everybody is happy… at least for a while. It won’t last! Today you must look at content as an asset for the future and find new and creative ways (beyond excellent writing) to win those links. In this session we will show you how to unearth and maximise hidden linkable assets to win new links, and examples of unusual content-driven link building tactics that go against the grain. More and more companies understand the importance of a YouTube channel. The brand is positioned in a controlled manner, receives positive perception and you are closer to your customers than ever before. But many companies still don't dare create (advertising) videos, because the obstacles seem very high. Michaela Engelshowe (aka Koko) establishes YouTube channels from the beginning, and creates and supervises YouTube channels for various brands. In this session she will show you how to create a channel for your content - even on a small budget. You'll learn why building your subscriber base organically takes longer, but is much more valuable in the long run than paying for content ads, why the thumbnail is usually more important than the actual video, and how you should use your archive, which has become so much more important since the last YouTube algorithm update. Did you have a good show? Great! After two days of thought leadership, meaningful insights and tactical tips, you’ll be sure to have your own list of top takeaways, favourite speakers and sessions. Of course, you couldn’t attend every session – but have no fear! In this session you’ll hear from our moderators what they found most valuable, as we recap the best information from the show and give you their opinion on how to prioritise the take aways.